Governor Bill Richardson of New Mexico has decided not to posthumously pardon Billy the Kid, aka William H. Bonney, aka Henry McCarty, for any of his many crimes. Richardson considered pardoning him because the historical record suggests territorial Governor Lew Wallace may have extended the promise of a pardon in exchange for Billy’s testimony against another murderer. Billy testified but the pardon never materialized. He escaped from jail killing two guards only to be caught again, escape again, then finally shot to death by Lincoln County sheriff Pat Garrett in 1881. The Wallace and Garrett familys were not pleased that Gov. 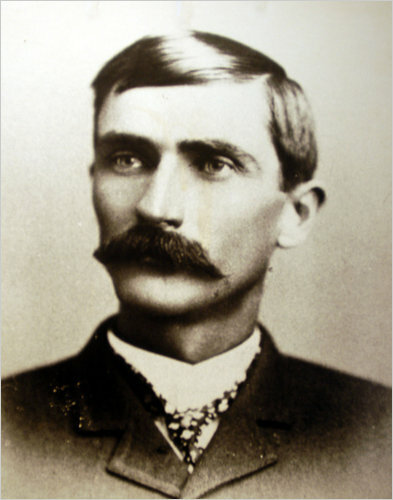 Richardson was willing to re-examine the question of whether Wallace made a deal with Billy the Kid that he welched on and whether Garrett had shot the wrong man. The descendants of Billy the Kid’s victim Sheriff William J. Brady, killed on April Fool’s Day, 1878, were also offended by the very notion of a pardon. But history buffs who also happen to be Governor can’t be deterred that easily, especially when they can’t run again because of term limits anyway. Richardson set up a website about the Billy the Kid pardon, soliciting comments on the question from the general public. Out of the 809 emails received, 430 of them favored granting the pardon, 379 were against it. Overwhelming pro-Bonney numbers notwithstanding, the Governor ultimately decided the evidence was just too inconclusive even for this level of tourism-luring stunt pardoning. After all, even if Lew Wallace did offer Billy the Kid a pardon, he could have been lying to get his testimony. There was never any guarantee, nor is there any formal record of Governor Wallace making any such offer. 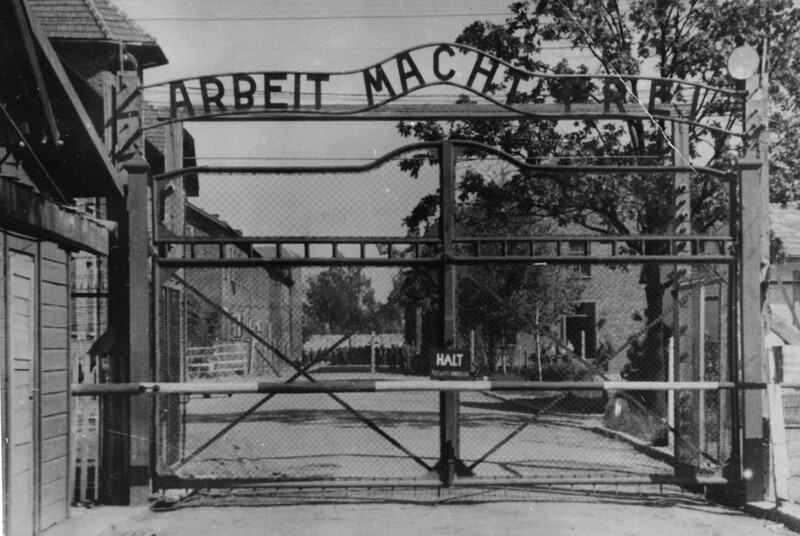 Swedish national and founder of Sweden’s National Socialist Front party Anders Högström has been sentenced to two years and eight months in prison by a Polish court for masterminding last year’s theft and dismemberment of the infamous “Arbeit Macht Frei” sign at the entrance to Auschwitz. Högström, who claimed to have abandoned his neo-Nazi ways over a decade ago, received the sentence as part of plea agreement that allows him to serve his time in a Swedish prison rather than a Polish one. If what I’ve seen on Wallander is at all accurate, I suspect that’s a pretty sweet exchange. The exact nature of his involvement in the plot is still nebulous. When he was extradited from Sweden, he said he had played the middle man, simply arranging the transportation of the sign from one location to another. He also claimed that he had turned himself in once he discovered the proceeds from the sale of this ultimate symbol of Nazi genocide were going to be used to disrupt the upcoming elections. Poland convicted him of masterminding the theft after prosecutors failed to turn up any evidence which supported Hogstrom’s claims that he was acting as a middle man in a plot to steal the sign for financial and possibly political gain. Polish prosecutors said Hogstrom had admitted his guilt at the last minute. The most likely cause for Hogstrom’s change of heart appears to have been the settlement reached with prosecutors which allows him to return to Sweden to serve his sentence. But whether the motives behind the sign’s theft were political or linked in any way to the election gains by Sweden’s anti-immigrant Sweden Democrats, remains a mystery. Robert Parys, the Polish prosecutor who headed the investigation, said he was convinced the main motive was financial. Two Polish nationals, Marcin Auguscinski and Andrzej Strychalski were sentenced 30 months and 28 months in jail respectively for the theft and dismemberment of the sign. They cut it into three pieces so it would fit in their truck. Marcin Auguscinski knew Högström personally. He did odd jobs on Högström’s southern Sweden estate more than two years ago. The incoming Georgia agriculture commissioner plans to remove seven murals by George Beattie from the lobby of the Department of Agriculture in Atlanta across from the state Capitol. 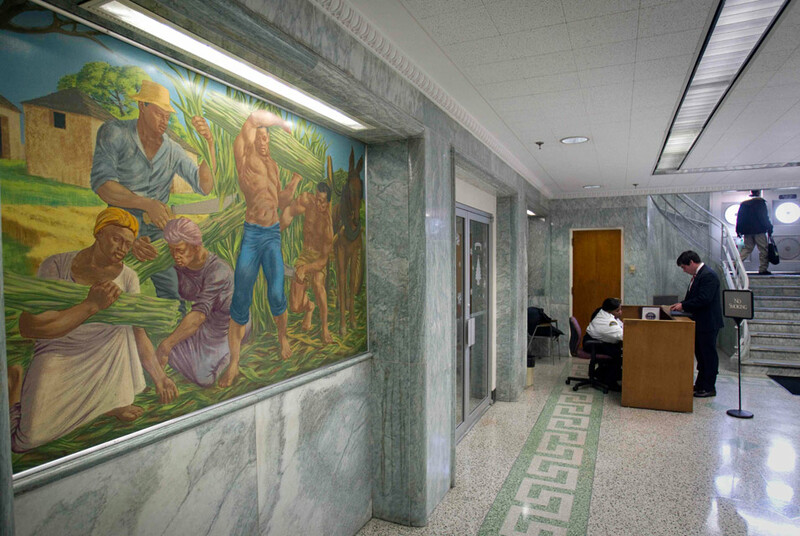 Beattie’s paintings were commissioned in 1956 and depict the history of agriculture in the state, from half-naked Native Americans cultivating corn to a state farmers market to a 20th-century veterinary lab. 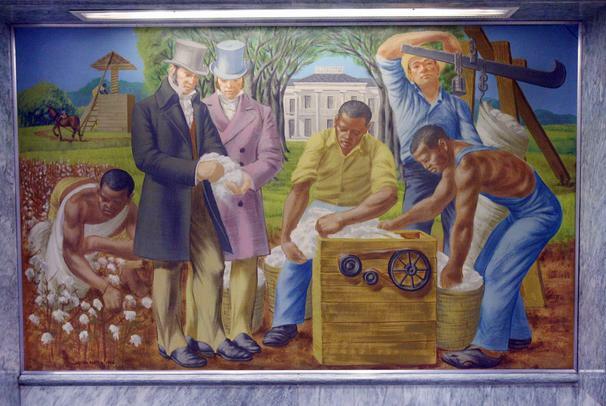 Somewhere in between there are two idealized depictions of slavery, one of strapping slaves harvesting sugar cane, the other of equally strapping slaves picking cotton and using a cotton gin to separate seed from fiber under the dignified eye of a pair of white overseers. Conservative Republican Commisioner-elect Gary Black finds them “undesirable” and plans to take them out of the lobby and put them in storage. The unobjectionable state farmers market one might remain in use, but not in the lobby. 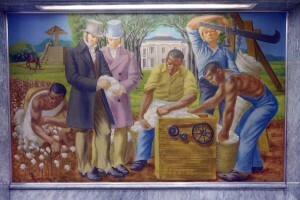 Beattie’s son George Beattie III says his father thought slavery was terrible but that he was asked to depict the history of agriculture in Georgia, and that means depicting slaves who were 40% of the state’s agricultural workers by 1840. Historical accuracy did not demand that he depict them in the blazing good health of a ruddy Soviet farmer on a propaganda poster, though. Even Beattie’s close friend, sculptor and professor emeritus at Georgia State University George Beasley, who believes the paintings should remain where they are, admits that the painter had a penchant for idealized, shiny-happy images, which puts the lie to the notion that the paintings are only about presenting Georgia history as it was. The year those paintings were hung, after all, was a landmark year in Georgia’s racist history. It’s the year a Confederate Battle Flag was added to the state flag in protest of school desegregation. Governor Marvin Griffin declared that “the schools are not going to be mixed come hell or high water.” The Confederate flag remained on the state flag until Governor Roy Barnes replaced it in 2001, a decision that may have played a pivotal role in his failure to secure re-election the next year. Gary Black is the first new agricultural commissioner in 41 years. Outgoing commissioner Tommy Irvin was appointed by segregationist governor Lester Maddox in 1969 and ran undefeated, often unopposed, for the next 10 elections. If Irvin hadn’t decided to retire this year, Black might have lost yet again, just like he did in 2006. He has all kinds of reasons for wanting a fresh start. 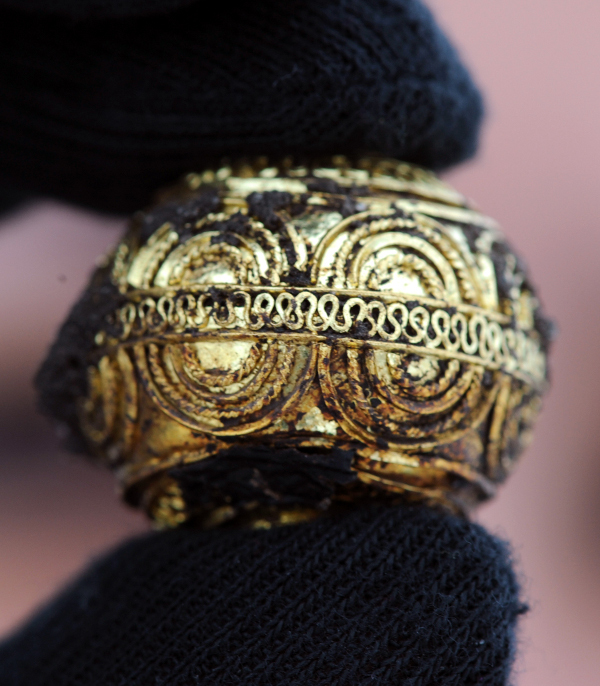 A 2,600-year-old Celtic tomb has been found by archaeologists excavating the ancient hill fort at Heuneburg, Germany. The 13-by-16-foot burial chamber is in an excellent state of preservation and still contains a treasury of gold and amber jewelry. The jewelry allowed archaeologists to pinpoint a precise date, the first time they’ve been able to do so with early Celtic remains. It also strongly suggests that the tomb belonged to a noblewoman of the fort’s early period of Celtic habitation, the 7th century B.C. Further analysis of the burial chamber will be needed to confirm the date and owner. 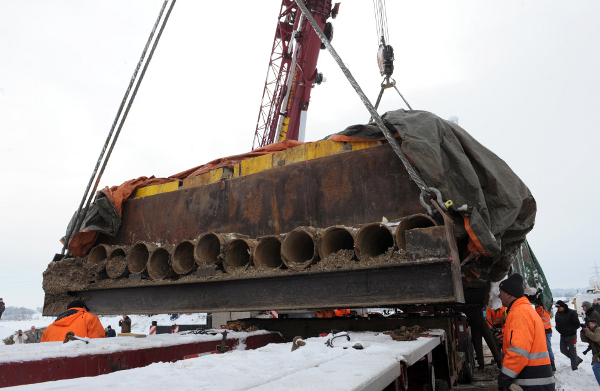 This should be a lot easier for scientists since the entire tomb has been lifted out of the ground in one solid block of earth by two cranes, loaded on a specialized flatbed truck and transported tout entier to the lab of the State Office for the Preservation of Monuments in Stuttgart. The Heuneburg hill fort site is one of the oldest settlements north of the Alps, and a major source of information about Iron Age Celtic culture at a time when wealth and population were increasing rapidly in a few population centers. The Celtic citadel was first enclosed with a wood and earth wall in 700 B.C., a standard Celtic building technique. By 600 B.C., however, they had built a mudbrick wall over a limestone foundation almost 20 feet high. The mudbricks were painted in limestone plaster and must have been a very visible landmark in the area for the 70 years they lasted. There are no other similar such walls known in any Celtic settlements in central Europe of the time. Stefania Toscano packed many of her beloved aunt’s books when she moved from Italy to Oregon. She was in a rush and didn’t catalog them before boxing them up, so when she found a coverless, worn book in a Ziploc bag at the bottom of one of the boxes, at first she didn’t think much of it. Her aunt was a hugely accomplished cook and had a large collection of cookbooks. Upon closer inspection she realized it was an 1809 edition of Il Cuoco Maceratese (The Cook from Macerata — a city in the central Italian region of Le Marche) by Antonio Nebbia. 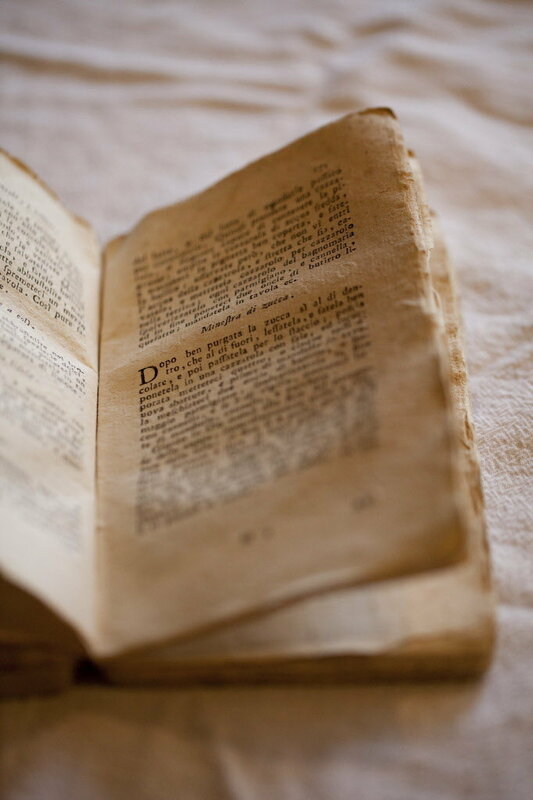 It’s one of the earliest cookbooks written on Italian soil, decades before it was a country. Toscano went to the Reed College library to find out more about the book, and a search of the school’s massive database of libraries around the world confirmed that it was a rare volume indeed. Out of 42,000 libraries searched, there were only three copies of this edition. The University of Oregon’s Nicola Camerlenghi, an Italian-born assistant professor of art history, told us that the mere fact that recipes were even written down and published reflected the region’s growing economic prosperity and the emergence of an upper-middle class, who were employing cooks who needed information. According to Camerlenghi, who has an academic interest in medieval architecture and gastronomy, the new bourgeois class in Macerata looked to France and its nouvelle cuisine for inspiration — even before Napoleon stormed Italy in 1798. “Papal rulership is conservative,” Camerlenghi says. “And here is this exciting stuff that is going on in France: the 19th century Enlightenment. Voltaire, all these big thinkers.” And France, he says, embodies a cosmopolitan sophistication that appeals to upper-middle-class Italians. Nebbia introduces French-style sauces to give flavor to food, eschewing heavy use of spices, roasted meats and other medieval carryovers. Along with the more traditional lard and pig fat, he recommends using butter, even in pasta. Dishes call for making puff pastry and sweet custard creams to accompany meats and breads. As important as what is in the book is what’s not. You see no mention of tomatoes or potatoes. It took years after the tomato’s arrival in Europe from the New World for it to be considered edible (the first pasta recipe with tomatoes was recorded in 1790). Potatoes were introduced in 1773, Camerlenghi says, but only became widely used after the government played up their health properties. In the video below Stefania Toscano says the book is written in an archaic Italian, a mixture of the modern language and Latin, but from what I can see in the picture it looks just a little old fashioned; for instance, they use the medial s, the elongated form that looks like an f.
It’s readable enough, though, because she’s been making some of the recipes and even the odd ones like Piatto di Sellari di Vigilia con salsa di Tarantello, a pan sauté of tuna, boiled celery, a sprinkling of cinnamon and nutmeg, and a slurry of flour and water, have turned out surprisingly well. Then there’s the one she’s been making for Christmas, a marvel called Lasagna Princisgrass, so called because it’s rich enough for a prince, made from sheets of pasta layered with white sauce, shaved truffles and prosciutto. A glass vial containing a coded message from a Confederate commander across the Mississippi from where Lt. Gen. John C. Pemberton’s forces were losing the battle of Vicksburg has been decoded. The commander reports that Pemberton can expect no help from him. The message is dated July 4, 1863, the day Pemberton surrendered to Gen. Ulysses S. Grant’s Union army. The tiny sealed bottle was donated to the Museum of the Confederacy in 1896 by Capt. William A. Smith who fought on the Confederate side at the siege of Vicksburg. It remained unopened and unexamined in the collection for 120-plus years, until collections manager Catherine M. Wright decided to open the bottle and see what the message said. Inside the bottle they found the coded note, a .38-caliber bullet and a white thread. The bullet was a weight that would allow the vial to sink if the messenger had to hastily dump it in the river upon discovery. Wright tried to decipher the note herself but was unsuccessful. She contacted David Gaddy, a retired CIA code breaker, and he was able to crack the code in just a few leisurely weeks. Navy cryptologist Cmdr. John B. Hunter confirmed Gaddy’s interpretation. The note was written in a Vigenère cipher, a fairly simple code that shifts letters a certain number of places, first described in the 16th century by Giovan Battista Bellaso. Blaise de Vigenère created a stronger version 30 years later for the court of Henry III, and in the 19th century its invention was misattributed to him. You can expect no help from this side of the river. Let Gen’l Johnston know, if possible, when you can attack the same point on the enemy’s lines. Inform me also and I will endeavor to make a diversion. I have sent some caps (explosive devices). I subjoin a despatch from General Johnston. It wasn’t signed, but it was probably sent by Maj. Gen. John G. Walker of the Texas Division. William Smith served under him at Vicksburg. General Johnston was Gen. Joseph E. Johnston who commanded 32,000 troops south of Vicksburg. He and Pemberton’s forces were separated by 35,000 of Grant’s troops. Grant’s force besieged Vicksburg for six weeks, reducing the city to near starvation. People were eating dogs and wallpaper paste by the end. They were so bitter about the surrender that for 80 years the city refused to celebrate the Fourth of July. When Virginia O’Hanlon sent a letter to the Question and Answer column of the New York Sun newspaper in 1897 asking if there was a Santa Claus, little did she know that she would engender a deeply cherished Christmas tradition that would outlive her, her century and the one after that. 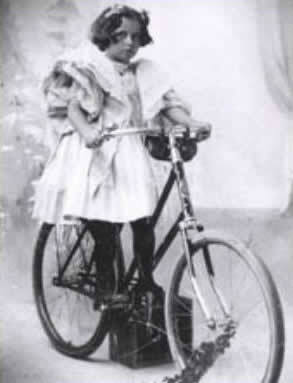 It all started in July of 1897, the month Virginia turned eight years old. As she would tell a group of Connecticut high school students 62 years later, she always spent the months between her birthday and Christmas thinking about what Santa would bring her. When school started in early September, she shared her musings with her friends and they clouded up and rained all over her, telling her Santa didn’t exist. Perturbed, she asked her father if Santa Claus existed or if her friends were right, and instead of taking the hit he dodged her question. As a loyal reader of The Sun, he had always said that if anyone in the family had a question, they should write to the Q&A column because “If you see it in the The Sun, it’s so.” Since her father wasn’t answering her directly, she told him she’d just write to The Sun and get the truth from them. He agreed that they’d be sure to give her the right answer, as they always did. I am eight years old. Some of my little friends say there is no Santa Claus. Papa says, “If you see it in The Sun, it’s so.” Please tell me the truth, is there a Santa Claus? Her question never was printed in the Question & Answer section of the paper, as fate would have it. That section was more for witty responses to factual questions. 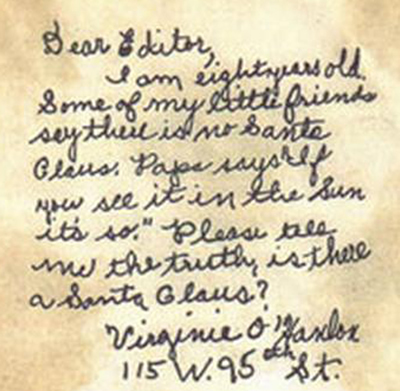 Poking the hornet’s nest of a child’s belief in Santa wasn’t in its purview, so the letter was forwarded to the editorial department where it ended up on the desk of editor Francis P. Church. The son of a Baptist minister, Church had been a Civil War correspondent for the New York Times and at the time of Virginia’s letter had worked for The Sun for 20 years. Church’s background had made him the go-to editor to address thorny theological questions. His response to Virginia would become the most reprinted editorial in American journalism, widely requested, quoted and beloved from the day it was first published on September 21, 1897. The Sun had no idea what Mr. Church had wrought. “Is There A Santa Claus?” was printed three months before Christmas in the third column of three columns of editorials. Before it came editorials on pressing matters like Connecticut election law and the new chainless bicycle technology expected the next year. The recently-deceased editor, Charles A. Dana, was an old school journalist who believed reporters and editorial staff should be heard and not seen. The editorial was printed anonymously and would remain unattributed until after Church’s death in 1906. Since its original publication, the Sun has refrained from reprinting the article on Santa Claus which appeared several years ago, but this year requests for its reproduction have been so numerous that we yield. Scrap books seem to be wearing out. They only printed it again after Church’s death in 1906, crediting him as the author for the first time. After that, they were more willing to publish it and far more respectful of its fans. In the 1913 reprint they even went so far as to compare it to the Gettysburg Address in the wide familiarity with and love for its wording. The Sun finally embraced the beloved piece fully in 1924 and made it the lead editorial every Christmas from that point onward. Virginia O’Hanlon went on to get a BA from Hunter College in 1910, a Masters in Education from Columbia in 1912, and a doctorate from Fordham in 1930. Her doctoral dissertation, entitled “The Importance of Play,” examined the importance of play in childhood and how children in poverty-stricken homes had few toys “to make glad the heart of childhood,” a direct quote from Mr. Church’s editorial. She was a teacher and principal for 47 years, and continued to receive mail about her letter for the rest of her life. She died on May 13, 1971. You can hear her read from the editorial in this 1963 interview where she talks about her letter and the positive long-term impact the editorial had on her. She has a beautiful voice. I imagine her students loved hearing her read to them. She mentions in that interview that she had only one child, a daughter, but seven grand-children and two great-grandchildren on the way. One of her great-grandchildren appeared on Antiques Roadshow in 1998 with a scrapbook containing the original letter Virginia wrote. It was valued at $20,000-$30,000. You can see that segment here. Now is the perfect time to get next year’s Christmas present for the Internet/music nerd in your life. In fact, now is the only time to get what will soon become a treasured rarity. Internet Archaeology, the website dedicated to preserving graphics of the early Internet era, is branching out into preserving the sounds of the early Internet era. They’ve launched a project called Now That’s What I Call MIDI, a collection of 16 tunes from the ’90s in classic MIDI format, only instead of being the backdrop to a truly hideous website, they’ll be pressed in the rich warmth of genuine vinyl. Only 500 of these EPs will be pressed, so if you want your copy, pledge $25 on the Kickstarter page and one will be sent to you hot off the presses at no extra charge for shipping. The way Kickstarter works is no money changes hands until the project budget goal is reached in pledges within a certain period of time. The target amount they’re raising is $2500 by Sunday, January 9th, at 11:07 AM. They’re already at $1,928 with only 75 people donating. They’re selling like hotcakes, in other words. As well they should, because if being keen to rock to the first and only vinyl pressing of Ace of Base in the tinny aural wonderland of MIDI is wrong, I don’t want to be right. An 18th century birch-bark canoe, thought to be the oldest one still in existence, was found in a shed on the Enys Estate, near Penryn in Cornwall. The canoe was bought in Canada by Lieutenant John Enys (b. 1757, d. 1818), a British soldier with the 29th Regiment who fought in the siege of Quebec during the Revolutionary War. He was deployed in 1770, defended Quebec City in 1776, and was posted to various forts in Upper Canada in the 1780s. He recounted in his journals traveling around eastern Canada after the military campaigns wound down, which is probably where he bought the canoe. Canoes were popular souvenirs for British visitors to Canada, but they were usually smaller so they could be easily transported home and displayed. This one is full size. Jeremy Ward, curator at the Canadian Canoe Museum in Peterborough, Ontario, believes that it was the work of a Maliseet First Nations tribe who lived in the Maine and New Brunswick area during the Revolutionary era. He hasn’t had a chance to inspect it in person yet, though. When Enys’ descendants found it among discarded toilets and other junk in the shed, they called the National Maritime Museum to find out what exactly they had. Estimated to be almost 250 years old, the boat was found in two pieces, but has weathered time well, according to Mr. Ward. “It’s a beautiful boat, except for the midsection, which looks like it’s been hit by a snowplow,” he said. What caused the damage is unclear, but Mr. Ward said it does not appear to have happened recently. Birch-bark canoes from this era were held together by tree root lashings, he said, the hull almost spring-loaded against itself. “When the lashings come apart, the whole thing comes undone, so it’s very hard for them to live over 150 years, certainly if any weather’s getting at it,” he said. They were also so common in Canada that few people bothered to keep them. It’s not entirely surprising, therefore, that this treasure was found in the UK where it was treated as a cherished memento rather than used and discarded. The canoe is currently on display at the National Maritime Museum. They’re working on shoring it up and preserving it with a very light hand so that next year it can be transported back to Canada. 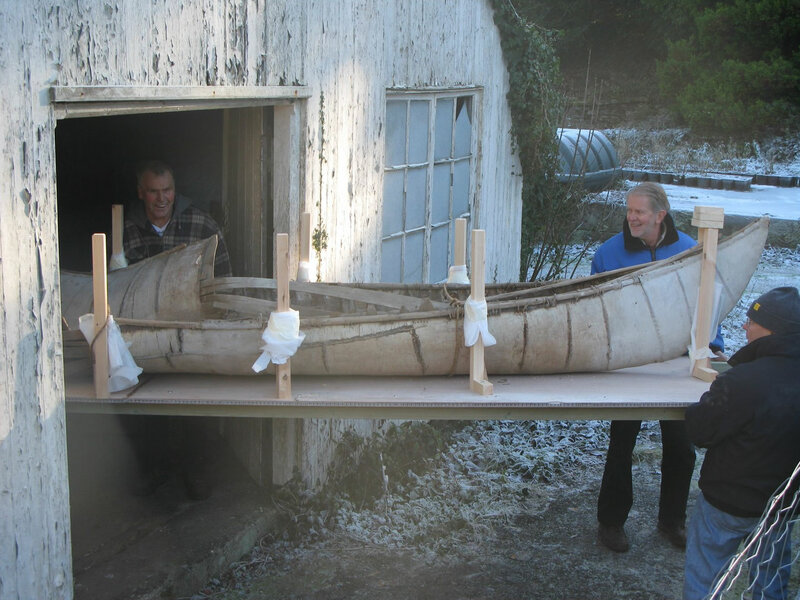 When the Enys family learned about the Canadian Canoe Museum and their extensive collection of 600 historical canoes, they decided to donate theirs to the museum where it will be welcomed with some pomp and much excitement in the fall of 2011. 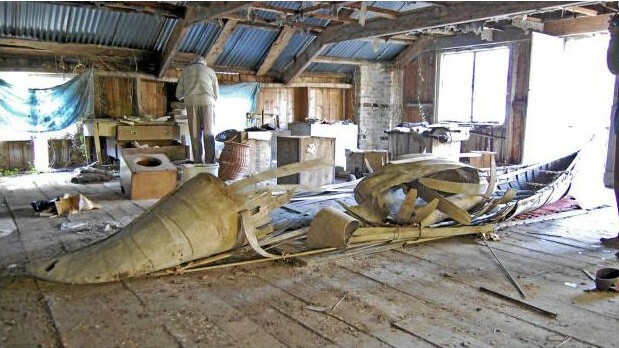 Ward and his colleagues are exploring a variety of restoration and display options. Right now they’re thinking they won’t try to put humpty dumpty back together again, but will instead build a structure that will keep the canoe looking like it’s in one piece. A complete Monopoly game set handmade by unemployed heating engineer Charles Darrow in 1933 sold at Sotheby’s Malcolm Forbes Toy Collection auction on December 17 for $146,500. 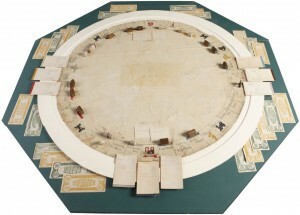 The set includes a circular gameboard made out of oilcloth and decorated with pen-and-ink gouache, the rules sheet, playing cards, money, deeds and tokens. It was purchased by the National Museum of Play in Rochester, New York to add to their impressive collection of 65 historical Monopoly sets. Monopoly has a storied history. Its earliest iteration was a British game called The Landlord’s Game, invented in 1904 by Elizabeth Magie to illustrate the dangers of unequal wealth distribution. It migrated across the Atlantic in various forms as people created their own boards and pieces to play with their friends. Ruth Hoskins played a version called Finance in Indianapolis which she customized with the now-familiar Atlantic City place names after she moved to New Jersey. It was the Hoskins version Darrow was first introduced to by friends in Philadelphia. Darrow saw the real money-making potential of the game and began to produce handmade sets to sell. He produced one or two a day at most, and although they were only publicized by word of mouth from his friends and family, soon he had more orders than he could keep up with. Within months he had copyrighted the game and contracted with a local printer to make complete Monopoly sets (on the cheap, though; he still colored the boards by hand). In 1934 he offered the game to Parker Bros. but they thought it was too complicated for us stupids to figure out, so they turned him down. Darrow kept at it, now ordering full color printed versions which he sold to major retailers like F.A.O. Schwarz in New York. The next year Parker Bros. came calling, hat in hand, and the rest is history. The set bought by the National Museum of Play is the earliest Darrow set that has all the pieces including the rules. Since Darrow was the first Monopoly hobbyist to actually codify the rules — the predecessors’ rules were all just informally determined at the table — this set illustrated a pivotal moment in the evolution of the game, when it went from playful trend to cultural icon.